How Can Parents Address Restless Legs Syndrome and Teeth Grinding? | Checkup | Kids VT - small people, big ideas! Children of all ages experience sleep disturbances from time to time. Though the causes aren't usually serious, disruptions can last months and affect the sleep of others in the house. 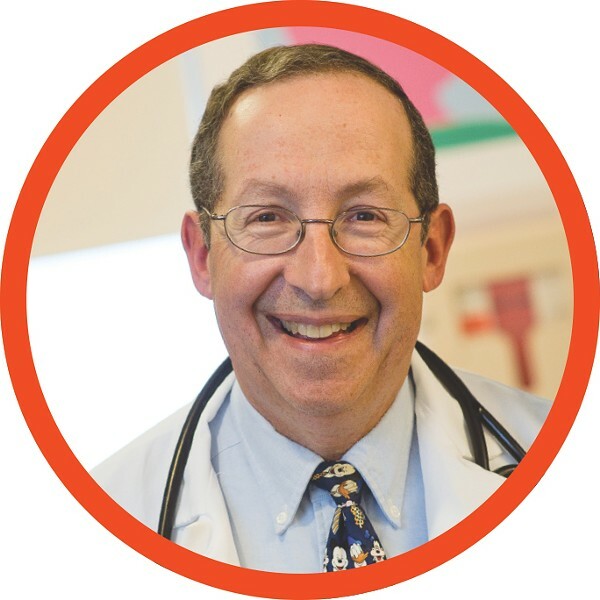 This month, Dr. Lewis First, chief of pediatrics at the University of Vermont Children's Hospital, tackles two behaviors that can keep kids — and parents — up at night: restless legs syndrome and teeth grinding. Thankfully, both are usually harmless and can be addressed with a few simple home remedies. KIDS VT: What is restless legs syndrome? LEWIS FIRST: There are four criteria that characterize it: an irresistible urge to move your legs; symptoms start or become worse when at rest; symptoms are relieved temporarily when the leg is moved; and it's almost always worse in the evening, when you're lying down, or during a period of being immobile. It's been described as an itching or tingling sensation. Some people say it feels like you have a carbonated beverage in your veins. KVT: What do we know about its causes? LF: It's not well understood, but we do know that it occurs in about 6 percent of children and can run in families. About a quarter of the time, it's associated with an iron deficiency. When we give those kids iron supplements for a period of six to 12 weeks, it usually gets better. In rare circumstances, it's been associated with a folate, or folic acid, deficiency. KVT: Can restless legs syndrome become a lifelong condition? LF: It's possible for restless legs syndrome to go away during childhood and reemerge when a child gets older. Most of the time it's short-lived, lasting several weeks to a few months, and may go away forever and never occur again. Or it may recur in adulthood. KVT: Does restless legs syndrome cause insomnia? LF: It does because the child may be up a lot trying to move their legs around. Then you start seeing daytime sleepiness and irritability due to lack of sound sleep. So it's the sleep disruption that you really need to address. KVT: How do you address these disruptions? LF: The best way is to develop good bedtime habits, which means the child should go to bed when they're tired and not sit in bed reading or watching TV. Caffeine has been associated with an increase in restless legs symptoms. Massage, walking or stretching before bedtime, using a heating pad, putting a pillow between the knees and other relaxation techniques can also help, as can a diet rich in iron. If none of these methods work, and it's really causing problems with daytime behavior, then parents should consult their child's healthcare professional and determine if a referral to a sleep specialist is recommended. There are some medications recommended for adults with restless legs syndrome but these medications are currently not recommended for children. KVT: What about nighttime teeth grinding? LF: This one is a little more common. About 30 percent of children will grind their teeth or clench their jaws in their sleep. This condition is formally known as bruxism. It's most common in children ages 3 to 6. The nice thing is, until their permanent teeth come in, it's usually short-lived and not a big problem — except for those who have to listen to it! LF: It could be a problem with the child's bite. A pediatric dentist can check that the baby or adult teeth are growing in correctly. Other times it's associated with stress. Children who are teething or have an earache may also grind their teeth. Some kids have big tonsils that obstruct the back of their mouth, which can lead to more teeth clenching as they try to pull their jaw forward to open up their airway. KVT: Can teeth grinding damage kids' teeth or jaws? LF: The good news is that it really doesn't hurt your children or their teeth. In very rare circumstances, kids with significant developmental delays who grind their teeth as a rhythmic behavior can wear down the enamel. KVT: Is there anything parents can do to prevent teeth grinding? LF: The best thing is to just close the door so you don't have to listen to it. But if you're still worried about it, have the dentist check your child's teeth and bite. Also, an ear, nose and throat specialist can check their tonsils to make sure they're not experiencing sleep-disorded breathing as a result of their airways being partially obstructed by those tonsils. As with restless legs syndrome, a relaxing nighttime routine will reduce stress at bedtime. For older kids with permanent teeth who are still grinding at night, a dentist may recommend a nighttime mouth guard. It eliminates the grinding sound and protects the enamel from being worn down.